We're bringing back 'Big Fat Quiz' Night at the Hive Saigon this March '19! And this time it's all about MOVIES! Gather your friends (or make some new ones), and come test out your movie knowledge. All you need to do is form a team of 4 or 5 to take up the challenge... Flying solo? Don't be Shy! We're all about making new friends and building our community. 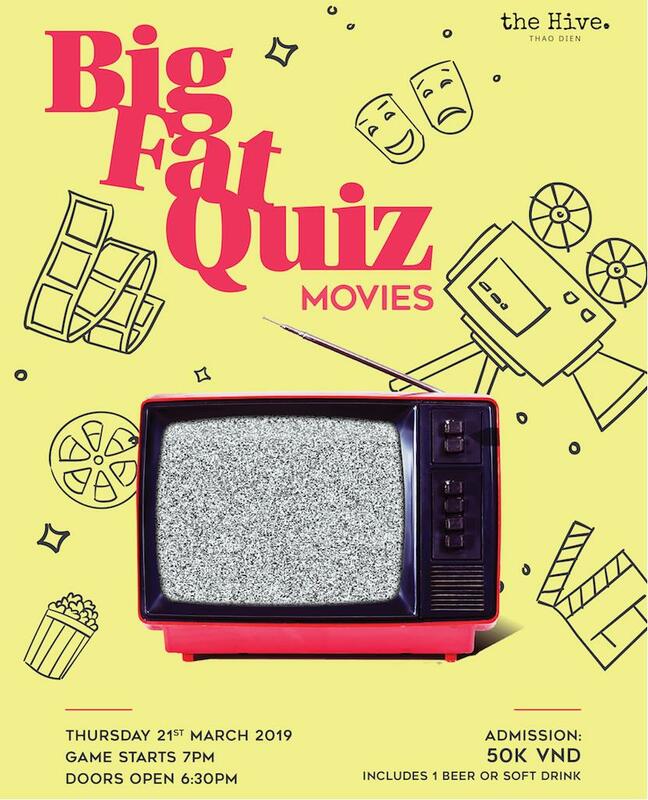 Test your knowledge on classic movies and popular blockbusters and stand the chance to win the grand Big Fat Quiz Night Prize! Admission is free, drinks and snacks available.